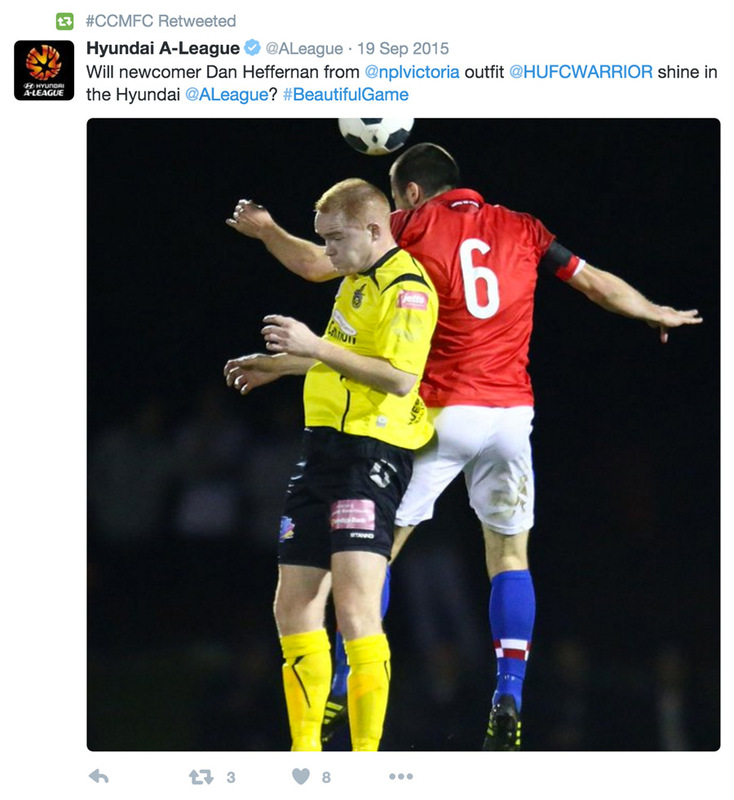 After completing a project for the Socceroo's, Undergrnd was again engaged to create content for the Hyundai A-League (@aleague) Twitter page. 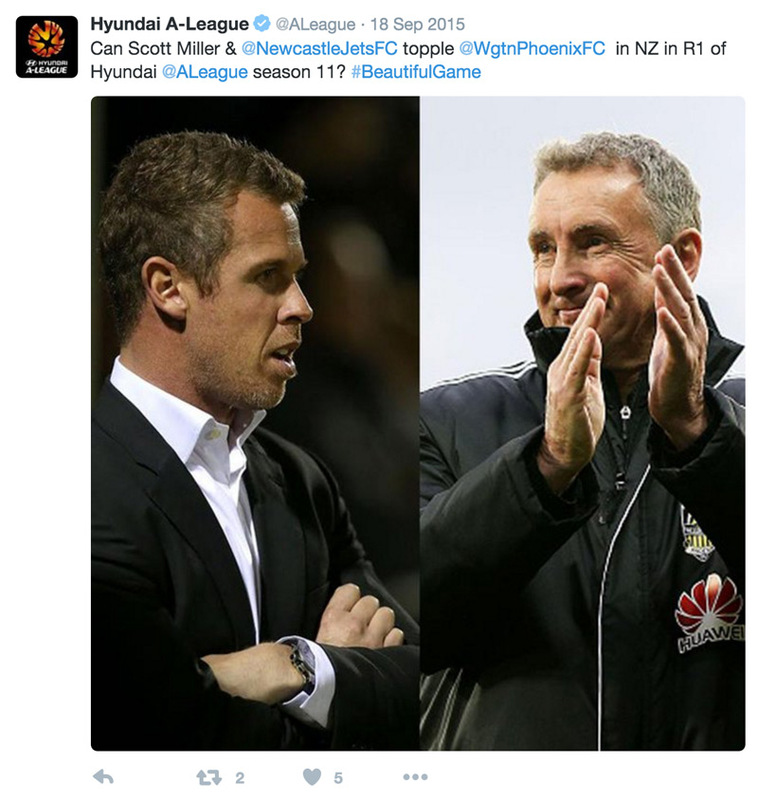 The brief was to create conversation pieces in order to re-engage fans after a season break over the winter and to help drive pre-season ticket sales for the first round to be played on the 8th of October 2015. 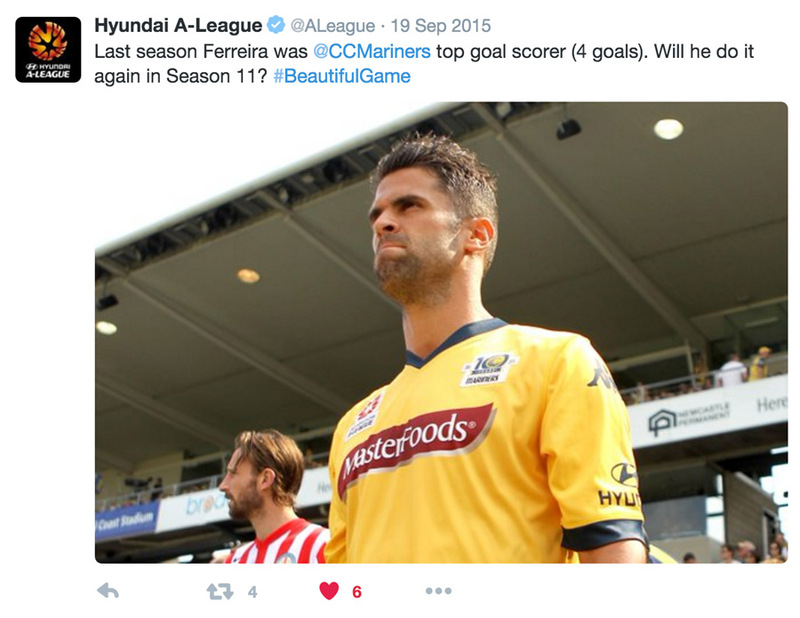 We had a fair bit of fun coming up with social media content for the A-League, being fans of Perth Glory and football enthusiasts we were given access to Getty images and were able to post humorous and nerve-striking questions to the fans in order to get the comments and retweets pumping. We planned out to give each team several posts to ensure all ten teams across the league were fairly represented and promoted. By focusing on each team's individual strengths and rivalry's were were able to post some pretty engaging content. Garnering a total of over 100 likes and 70 retweets, the campaign was a success! 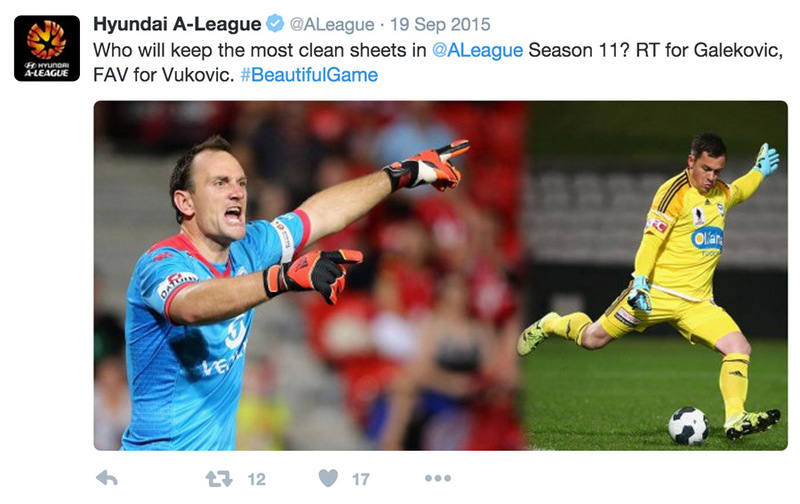 Especially with a good turnout for the first round of the Hyundai A-League.